Introducing another Whitney Brothers® innovation in Early Learning furniture and a 2017 Best of Year Honoree Award winner from Interior Design magazine! 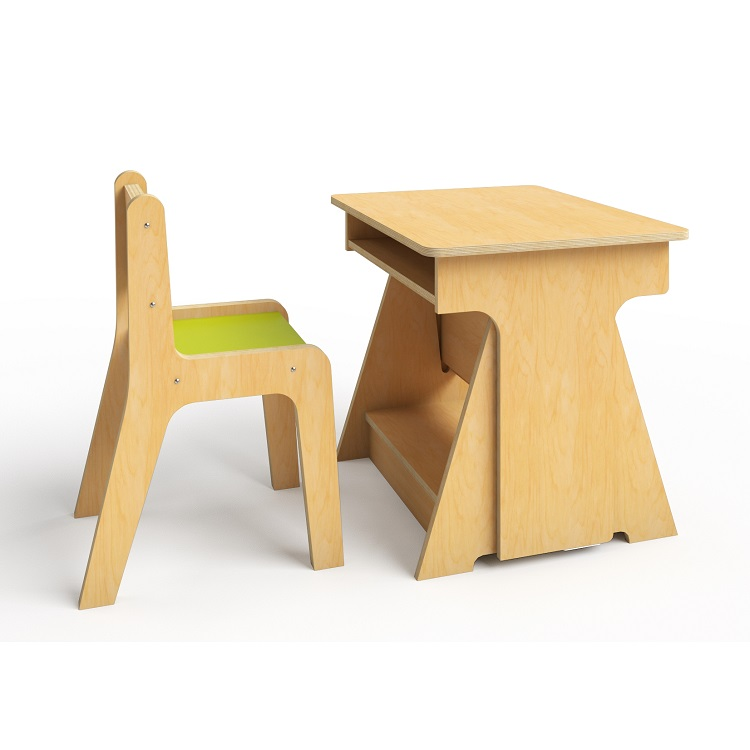 You'll love how the clever design enables this stylish desk to convert easily from sitting to standing securely and without tools from a sitting height to a standing height so Early Learners aren't sedentary, use good posture, and stay engaged in whatever the classroom activity entails. The desk surface height is adjustable from 22" to 29.5" in 1.25" increments. For seating, choose any of our Whitney Plus Chairs, or a Bentwood Back Hardwood Chair. Dimensions: 19.75"D x 21"W x 23"H, weighs 45 lbs. Ships fully assembled by UPS or FedEx Ground. Made in the USA. GreenGuard™ Gold certified.